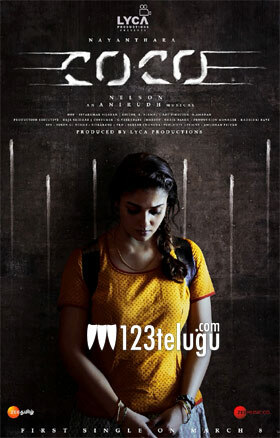 Star heroine Nayanthara’s latest film, Kolamaavu Kokila, has once again reiterated Nayan’s stardom and her Superstar title. This fun crime thriller has collected over 10 crores in 3 days and is racing ahead at the box-office with a unanimous positive word of mouth. Meanwhile three of India’s most popular stars, Super Star Rajinikanth, star Tamil director Shankar and hotshot Bollywood filmmaker Karan Johar appreciated the film and its team. Kolamaavu Kokila is dubbed in Telugu as CoCo Kokila. Nelson Dileep Kumar has directed CoCo Kokila and leading Tamil production house Lyca Productions has bankrolled it. Anirudh Ravichander has scored the film’s music.